Leann has been with Children’s Choice since its inception. She holds a Bachelor of Science degree in Psychology from UNM. She has more than 13 years of experience and extensive training and education in the field of school age care. She is a certified Quality Advisor by the National Institute on Out of School Time. She is also an Accreditation Endorser for the National AfterSchool Association. 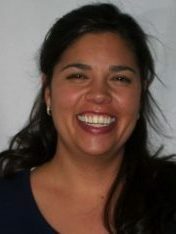 Leann is responsible for program implementation and evaluation. She is involved in organizational development, including management of human resources and fiscal management. She assists in developing the mission, goals and policies for the programs. She provides guidance and mentoring to the Program Directors.